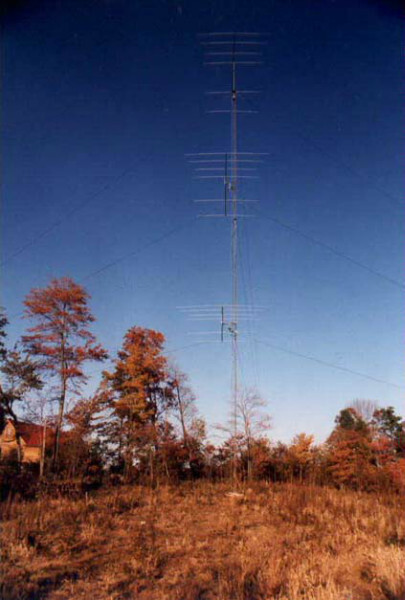 Here are pictures of my 6/6/6 stack for 10 meters. 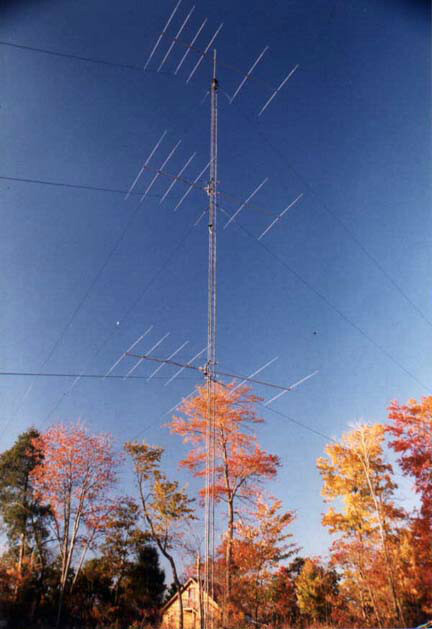 I poured concrete for this sytem on 24th of September 99 and entered the CQ WW SSB for my first effort on the new tower. I broke my old 1988 record for the USA as W0ZV and have the high-claimed score for 1999. Contrary to conventional wisdom, I find all 3 as a full stack is seldom the best. I love the complete flexibility the StackMatch provides. Thanks for an EXCELLENT product, service and support!